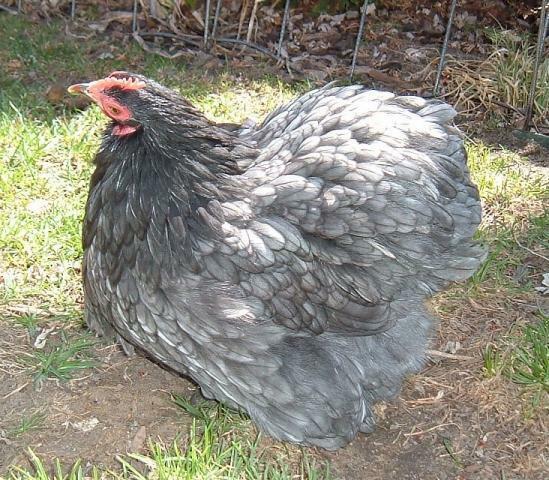 This is Bella Blue, my first Blue Cochin! 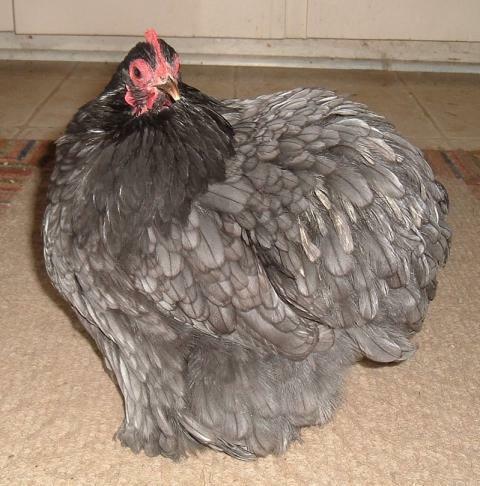 She was a pullet in 2009, so now, in Spring of 2010, she's just coming on 2 years of age. Bella has the absolute sweetest disposition, and I think she's just beautiful! 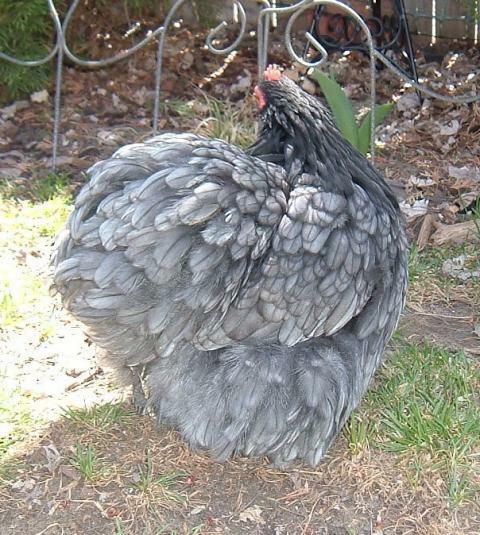 Many Thanx go to Beany S. here in Denver for finding her for me, and for teaching me so much more about breeding and showing Cochins! Welcome Bella!